In the previous two articles in Beepo’s Learning Series, you learnt how to identify business processes suitable for offshoring, and how to document them. Now you are ready to begin your offshore experience by working with Beepo to recruit fantastically talented, well-educated and English speaking staff to assist your local team to focus more on your strategic projects in order to transform your business. 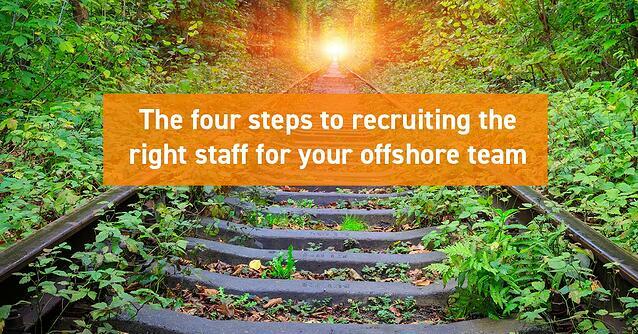 Outline how to interview an offshore team member. Step One: How to create a Job Description for your Filipino staff, and what to look for when assessing applicants. Although the Philippines Employment Market and associated recruitment strategies are reasonably similar to ours, it shouldn’t come as a surprise to learn that there are some key differences that could limit your success in finding the correct people for your business. With the following 4 tips, you will be sure to find the right person who will be the perfect fit for your organisation. The introduction is where you must gain the interest of the applicants so they continue reading the Job Description (JD) to the end. It is important that you write engaging and exciting content in the JD’s introduction, while at the same time keeping it general so as not to exclude potential applicants right from the beginning. The JD should read like a funnel, creating lots of interest at the top and getting as many applicants as possible interested in the role, and then having people self-qualify themselves as they read through to the bottom. The Philippines’ education system is taught solely in English from Primary level, all the way through to University. This is one of the reasons why The Philippines is such a great location to place an Offshore Team. Bear in mind that if you were to recruit for this position, you may not consider a tertiary qualified applicant because you might deem them ‘over-qualified’ for the role and therefore too expensive. In Beepo’s experience, however, to Filipino applicants, the country’s low cost of living, plus the kudos associated with working for a Western Company attracts a great deal of tertiary qualified applicants, even for heavily process driven roles. For example, why hire a bookkeeper, when you can have a qualified CPA manage your accounts for an insignificant cost difference? One of the downsides to working in the Philippines, as a country, is that it seems to be a slow adopter of new software systems like Xero, Hubspot, InfusionSoft, and so on. With this in mind, we recommend against listing experience in a system as compulsory. Instead, use words such as ‘preferred’, ‘desirable’, and ‘favourable’. The next best option to finding someone who does not have the skills you need, is to recruit someone who has the aptitude to quickly learn your required system; and this is very easy to do. Do you hire for experience or for potential? There is no simple answer to this question, however, for non-specialist, non-technical roles, we have had great success hiring young graduates with a high capacity and enthusiasm for learning new skills. On the other hand, if you are looking for highly technical roles such as architects, software developers, financial analysts and the like, you will have more success hiring talent with the required experience you desire. Never trust what is written in a Resume alone. This rule should apply regardless of where recruitment is occurring, but sometimes we become complacent when recruiting within our own, local market. You shouldn’t ever let this happen; therefore, skills testing is THE most important part of the recruitment process. As a standard, most providers will test applicants to assess their English and Math skills. However, it is important to also have applicants undergo Job Specific Testing to ensure they have the practical skills or aptitude to learn the skills required to do the job correctly. How well can a Graphic Designer or Web Developer interpret a creative brief? How effectively can a Digital Marketer compile a posting plan for your business? 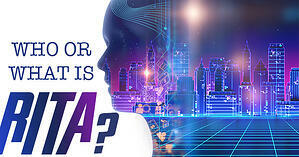 How quickly can a Data Miner mine leads? How skilled is an Outbound Agent at overcoming gatekeepers? You can provide a brief to applicants and have them complete that brief in the office, while under supervision with a time limit. You then assess the quality of their output and make a judgement as to whether they have the skills to do the required tasks or potential to learn what is required to do those tasks. This concept can be applied to all roles regardless of the nature of the required tasks. For example, if you are interested in how an Outbound Agent would navigate gatekeepers, have them call you and play out a scenario. Or if you are recruiting a Graphic Designer, have them complete a short creative job using the standard briefs you would use within your business. Just like recruiting staff locally, the ‘job interview’ is an important part of the selection process. It is an opportunity for you to ask questions and develop an understanding of the applicant’s skills and experience, personality and behaviours, as well as cultural fit within your business. In our experience, the following Interview tips work well. Obviously, it is important to introduce yourself and your business, and explain a little bit about the role, but keep in mind that this is when you need to make the applicant feel at ease. So don’t give too much detail at this stage, and instead, turn the focus to the applicant by asking them some questions to help you get to know them. This will help break the ice and create a better flowing dialogue right from the start. Feel free to ask the applicant about their family, where they live, how they get around, what they like doing, etc. This will give you the opportunity to develop a general understanding about what motivates them, their personality type and will set up the discussion for the more in-depth section. Describe a common scenario or problem the role will be expected to deal with, and ask the applicant how they would handle it. When asking these sorts of questions, it is important to remember that most Filipinos will not understand the context in which your business operates. In other words, the way a Filipino views the world will be different to the way you and your staff do. There are many reasons for this, but it is predominantly due to environmental and cultural differences between countries. With this in mind, the purpose of behavioural questioning is to ascertain the applicant’s problem-solving skills and initiative. Don’t be too concerned if the answer seems to be a little ‘left-field’ or not what you’d expect a Westerner to say; it may well be a completely acceptable solution in The Philippines. Just remember, you are assessing problem solving ability and NOT the effectiveness of the solution itself. Utilise this stage to clarify any queries you may have about the applicant. Make sure you cover everything off, as you do not want to be in a position where you hire someone you are not 100% comfortable with. Tell me more about that…? These types of questions will initiate a dialogue which you can follow up with further open questions and drive the conversation onward with your applicant. This will allow you both to learn the most about each other, so that you can both decide if you wish to proceed or not. In Article Five of the Beepo Learning Series, we discuss some of the Cross Cultural Management implications of offshoring, and this topic will provide some hints and tips for ensuring tight communication between your local and Philippines teams. I would suggest reading this article prior to interviewing your staff, as it will allow you to better tailor your questions and structure to find the right person. Naturally, we at Beepo appreciate that interviewing staff from a different country can be a unique experience. 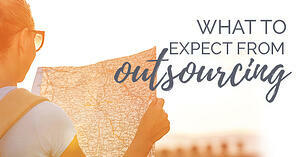 Most businesses like yours know the many advantages that offshoring will bring to their business, but want to ensure that they select the perfect staff. So let us help! That’s what Beepo is all about, after all! 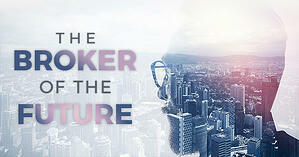 We are an outsourcing specialist, and our primary focus is about helping you successfully grow your business. Everything we do is for your success! We offer all interested businesses the opportunity to talk to our team, obligation-free, so we can discuss the options available to you, and find the best solution to see your business grow. Now you have learnt how to recruit the best offshore team for your business, you are well on your way to leveraging incredible growth potential within your organisation and building a sustainable competitive advantage, positioning you as a frontrunner in your market. 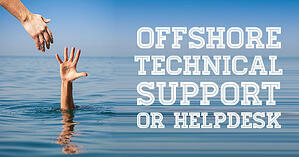 Read article four now, it will teach you how to on-board your offshore staff and integrate them with your onshore team.